We spent considerable time researching the different cattle breeds of the world and wanted to choose a breed that was right for the land and climate and was hardy, efficient, while producing the finest and healthiest cut of beef. 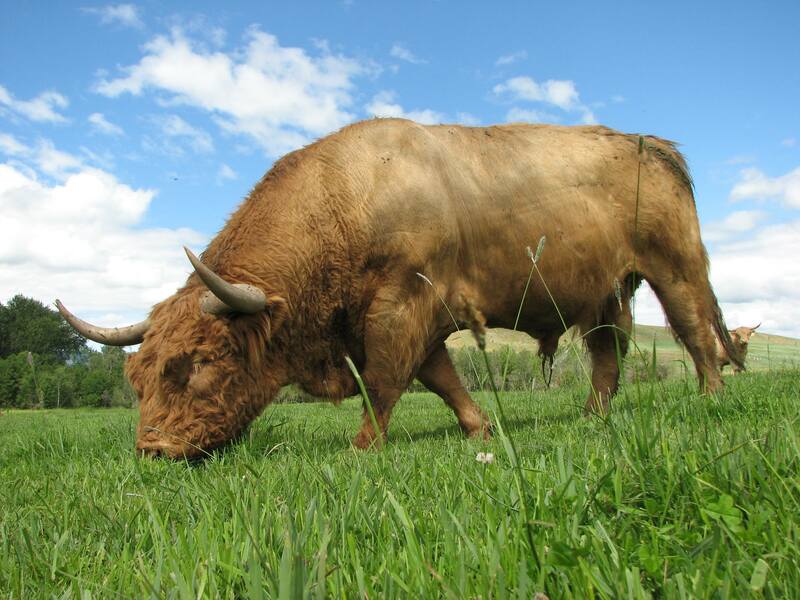 We chose a heritage breed of cattle called Scottish Highland. They have proven to be intelligent, gentle, hardy and compatible with our land and wildlife. This breed of cattle has had a long history of both living in conjunction with native people of Scotland and being able to live on their own. They have been valued for their meat, milk, hides, horns and warmth they provided inside small shelters. This breed is well adapted to cold, windy, northern climates by having thick dense skin and lush amounts of hair. Scottish Highland cattle are slow growing and slow to mature. They take twice as long to grow and mature as commercial cattle breeds. Their growth and maturity rate matches very closely to the Bison/Buffalo of North America. By purchasing our meat you are saving and encouraging the preservation of this magnificent breed.